It might have seemed like Facebook CEO Mark Zuckerberg was in serious trouble over his company’s recent data-related scandals, but at his congressional hearings he made an astonishing confession that could clear his name and totally change the conversation: Congress has exonerated Mark Zuckerberg of all wrongdoing after he revealed that the real inventors of Facebook were his former Harvard classmates the Winklevoss twins. Absolutely astonishing. It looks like the Winklevoss twins have a hell of a lot to answer for now that we know they’re the ones who actually came up with the idea for Facebook. After Zuckerberg concluded his speech and opened the floor for questions, Rep. Greg Walden immediately jumped in to ask Zuckerberg where he could find the Winklevoss twins in order to interrogate them about their role in Facebook’s misuse of users’ private data. From there, Rep. Frank Pallone chimed in to thank Zuckerberg for leading them to the true masterminds behind Facebook’s shady dealings. 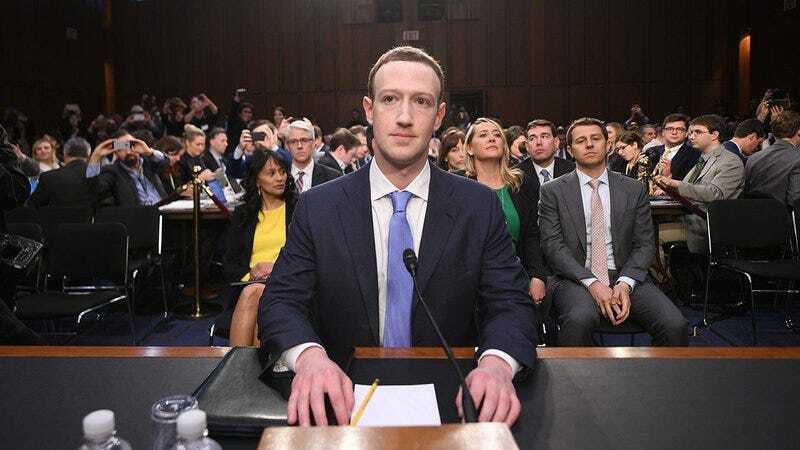 The congressman then apologized to Zuckerberg on behalf of the committee for making him come in to testify in front of Congress on two separate days when the real enemies of the American people were the amoral and devious Winklevosses. There are no two ways about it: This is a major game changer. Mark Zuckerberg has officially cleared his name, and now the Winklevoss twins can be held accountable for all the chaos that Facebook has caused. We sure wouldn’t want to be them right now!